A few years ago I listened to the podcast "The Word Nerds". This podcast helped me gain an appreciation for the power of the English language. In my conversations with people I have noticed the power of the words themselves. Using the wrong word can cause needless arguments; using a less specific word can cause confusion, and many other effects (I just checked Dictionary.com to make sure I used the right one there) come from using the wrong word. Defining terms is extremely important in conversations. In normal language, certain words have an accepted definition that is assumed based on the context. If these words did not exist, then you wouldn't be able to read this post and understand it. However, many words have slightly different meanings to different people. Let's take the word "period". I can think of three different definitions right off the top of my head. Most of us can figure that one out pretty quickly. Now, let's take the word "science". How many definitions for this are you aware of? I pick this one because I was at a debate between William Dembski and Michael Ruse in 2009. The topic was "Is Intelligent Design Science?" I was quite perturbed to see that they were each defining "Intelligent Design" the same, but they were not defining "Science" the same. In order for such a debate to have been fruitful, all the terms in the question up for debate needed to be agreed upon. For example, using his own definition of "science", Michael Ruse made a compelling case that could not be refuted- as long as William Dembski accepted Ruse's definition; however, since Dembski did not accept Ruse's definition, and instead used his own then Ruse's position could easily be undermined. The same happend when Dembski used his definition of "science" and Ruse refuted him. Let us examine a more recent debate: William Lane Craig vs. Sam Harris. One of the words that was not clearly defined and accepted by both participants was "objective". Sam Harris clarified that he was only arguing for a "universal" morality (one that only exists as long as conscious minds exist- he's referring to humans), while Craig was arguing for morality that exists regardless of whether or not conscious minds exist- he's also referring to humans. The fact that they were each using different definitions of "objective" caused much confusion for those who did not pick up on the distinction or its significance for the debate (even though Craig pointed out both in his first rebuttal). Since the purpose of debates is to convince based upon agreed upon information, neither debate accomplish what they had the potential to accomplish. The definitions of "science" (in the first example) and "objective" in the second needed to be debated and agreed upon before any questions containing the words could be debated. This is quite important when one is discussing religious, political, and other worldview ideas with someone who is opposed. Words that some people take to be universally defined across all wordviews are in for a huge surprise. Many words are not. "God" means one thing to the Christian and means another to the Buddhist or Muslim (Craig mentioned this also in his debate with Harris, but the point was ignored). "Empirical" means one thing to the scientist and means another to the historian. Speech is one of the communication methods that God has endowed strictly upon the human race. Speech is performed through many languages which all have numerous words (English alone claims nearly one million words). The power of speech lies in its ability to portray the unseen and the unmeasurable, along with the seen and measurable. It is used to communicate our thoughts, visions, and emotions to other humans. Each word corresponds to something and everything has a corresponding word (for the most part). However, the relationship of words to "things" is not one-to-one. 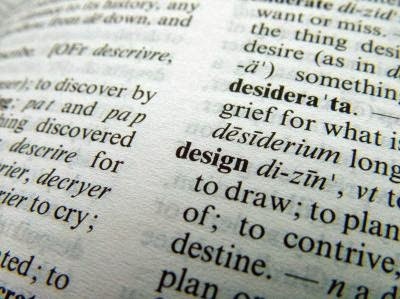 One word may have several definitions (take the word "set" in English; according to Dictionary.com it has 119 definitions), and one definition may correspond to several words (synonyms). 1. The contexts that they alone are used- such as "annihilate" vs "demolish", synonyms of one another, but not usually used interchangeably. "Demolish" tends to refer to the destruction of a building, and "annihilation" tends to refer to the destruction of a foe or enemy (in philosophy and theology it has an even stronger implication of the cessation of existence). 2. The level of emotion- "dislike" vs "hate", synonyms of one another, but "hate" is stronger than "dislike"
3. The precision of the description- "break" vs "shatter", synonyms of one another, but "shatter" paints a more accurate picture of how an object disassembled than "break"
4. The level of power- "mean" vs "ruthless", synonyms of one another, but "ruthless" is stronger than "mean"
5. Intentionality- "push" vs "shove", synonyms of one another, but "shove" indicates a mischievous "push"
When precisely defined words are cleverly combined into phrases, sentences, and paragraphs, they can communicate something so vividly, that reader or listener will have a precise understanding in their mind of the concept that was in the mind of the communicator. Speech has been given to humans to communicate with each other. Different studies have been conducted that have concluded that talking with someone about thoughts in the mind help that person emotionally- which can lead to a more healthy and productive life. With the words of our language, we can precisely describe to people what is on our minds, and they can understand it. The larger vocabulary one utilizes, the more precisely they can describe their inner-most feelings. There are many books on communication, and how intimately it is related to one's relationships with friends, family, co-workers, etc. Precise and honest communication allows for fewer "unknowns" between the speaker and the listener. As the level of "unknowns" decreases, the personal connection between the two becomes stronger. Strong communication leads to strong and trusting relationships. Many of you already are aware that many times a word may not exist in your vocabulary (or even in the language) that describes precisely what you want to communicate. We are all aware of adjectives and adverbs- those little words that describe (or add precision) other words. As the words mentioned above, adjectives and adverbs have many levels and nuances that will assist us in our description of a specific word (and thus, our thought). Of course, overuse of these can be really, really, really, really bad and do more to confuse the listener (or reader). That last sentence is almost painful to hear (or read). As you have already figured out, "devastating" could easily replace "really, really, really, really, bad". Depending on my intended meaning of "bad" I could also have used "frustrating" or "confusing". Notice, though, that each of those words have their own nuances. One may be chosen over the other, depending on the context. Other times, thoughts exist that can't be quickly communicated with a word and some descriptors. We have to futher qualify them with complete sentences. When this is necessary, don't take the easy way out by ignoring it, just do it. Most questions that someone asks about your point of view will be a "clarifying" question. This is a good time to use these descriptive words to further clarify what you are attempting to communicate. The more precisely we can communicate our thoughts, the more likely we will be to have our point of view understood. Now, "understood" is not synonymous with "accepted" (notice that I specifically stated what "understood" does not mean). I recently came across a very good example of this advice being taken. A couple years ago, I was working my way through the book "Thrilled to Death" by Archibald Hart. Hart uses the term "anhedonia" a lot because that is the primary topic of the book. At the beginning of the book Hart clearly defines "anhedonia". He starts by making it clear that there is a "clinical" definition, but he is not using it in that strict sense. He then goes on to describe what exactly he means. This was provided as an answer to his peers who would notice immediately if he were using the word incorrectly. By providing an exact definition of his term, Hart avoided much confusion and possible dismissal of his ideas. In both debates referred to above, if such a courtesy were provided by both parties (it can't just be one-sided), confusion could have been avoided. Instead, both proceeded with different definitions of their respective words, and debates that were already difficult to follow for some people just increased in difficulty level. A while back I read the book "No Free Lunch" by William Dembski (chapter 4.9). In it he provided a critique of one of his views from a peer. He went through the critique and responded. (I checked for the other scholar's further responses and found them here if you are curious). I was quite annoyed by this exchange. The glaring fact that both of them were trying to more specifically define their terms, while the other person complained that they were doing such a thing was unmistakable! We can't expect to be able to specifically define our terms yet not allow someone else to do the same, and on the flip-side, we can't demand that the other specifically define their terms while we do not reciprocate said demand. Another example of this is in the scientific community of biologists. "Evolution" is a broad term. Some want it split into two different terms: "microevolution" and "macro-evolution". Each one clearly defines a level of evolution in the biological realm. I think that this is quite useful because the separate terms allow scholars (and laymen) to know exactly which type the other is discussing and can engage with less ambiguity. I addressed this issue in more detail here. Sometimes it is necessary to create new words to communicate a newly discovered distinction. To finally conclude this, words have objective meanings. The fact that they have multiple possible meanings indicates that defining terms is extremely important if we wish for our conversations and debates to be productive. If this is not allowed, then the risk of holding a "strawman" understanding of the other person's view is increased. When "strawmen" are believed, frustration abounds for both sides. In the future, when someone asks us to clarify our terms, we should patiently oblige them. Most of the time, they are not trying to be devious, they are simply trying to understand. They also ask with the expectation that we are not being devious. We must not abuse language to the point of demanding a different term in the absence of a distinction in definitions, but on the other extreme, we must not demand the same term in the presence of a distinction in definitions. Atheists will never agree to work together to come to mutually concurred on meanings of words like God, cause, etc., because they know that when they agree to work together with theists to concur on meanings of words used verbatim by both sides, they will end up at the end of the day illogical, with their denials that God exists. That is why they resort to make fun of God instead of proving God does not exist, calling God a flying spaghetti monster, an invisible pink unicorn, and B. Russell started the trend by comparing God to an orbiting teapot in outer space. It is impossible to tell them that they have not gotten the concept of God correctly insofar as theists know God to exist; it is not possible because they want to remain stubborn in their dodge from the issue by making fun of God, insisting that for them God is a funny concept, and that is why they resort to make fun of God. You ask them what is funny with God, they will insist because God is a flying spaghetti monster, an invisible pink unicorn, and B. Russell started the pseudo reductio ad absurdum with comparing God to an orbiting teapot in outer space.